You have probably found yourself here because you are interested in buying a wireless doorbell and want to know what to look out for. Whether you need to consider the style, the features, integration or even the weather when buying a wireless doorbell, we have covered it all in this post, and more! Buying a wireless doorbell can be confusing, so we have put together 7 things that you will need to consider when you are looking to buy a wireless doorbell. If you can think of any other important factor you need to consider then please drop us a line and we may even update the post. What Range Do You Need For Your Wireless Doorbell? Where Is The Wireless Doorbell Going? How Many Push Buttons Does It Support? Will It Integrate With Other Smart Technology? Will The Wireless Doorbell Fit With Your Design? One of the most important aspects of a wireless doorbell is the range in which it operates, the range basically dictates how far the receiver can be from the transmitter. Most of the wireless doorbells on offer will have two ranges. 1. The full range – this is with an uninterrupted signal, i.e. no walls. 2. Working Range – this is for use where there are wall present. So assuming your house has walls(! ), you need to pay attention to the second range. It is very important to plan where you will be putting the push button (Transmitter) and where you will be putting the doorbell chime (Receiver). For most houses, we recommend buying a wireless doorbell with a range of 60-80 meters. If you are living in a large house, you need to be looking at the 100-meter range. 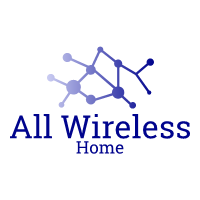 If you already have a wireless doorbell and you are experiencing intermittent signal issues, you can always look to see if there is a wireless range extender available. This is not just another ‘techie’ question that needs answering! Wireless doorbells have many different product features. Some you may find useful, some useless. As long as you are aware of some of the product features, it will help you make a decision on which one you will go for. The product features do not stop there though, there is a multitude! The options above are some of the most important ones to look out for when selecting a wireless doorbell. Where you will be putting your wireless doorbell will help you make a decision on which one to go for. Will it be exposed to the weather? Or will it be protected (A porch for example)? If you are living in a part of the world that frequently hits an extremely high temperature or an extremely low temperature then you might find yourself with a broken doorbell pretty quickly! Take video integration, you may have a door that faces the sun. That is nice if you want to catch some rays but if you want to be able to use the video functionality on a wireless doorbell, you need to plan the installation correctly, so you don’t just have a dark figure and a bright white background. You need to have a look at where you would like to place the wireless doorbell and make the decision. Consider the environment around your entrance and make a choice based on that. If you live in a house with just one entrance, then the answer to this is very easy. You need one push button. You may, however, have multiple entrances that you need to cover with a push button. Front door, back door, side door, they will all need to be covered too if visitors have access to these doors. If you live in a house with multiple entrances, then you should be looking at a wireless doorbell with multiple push buttons. There are some wireless doorbells on sale that can host up to 5 push buttons, which should be more than sufficient! Also – it is worth remembering that if you do live in a big house, check the range of the wireless doorbells you have on your want list. Not only is the range a problem, you may also need another receiver. A friend of mine works a lot from home, so he made an office in his garden shed which is around 20 meters away from his backdoors. There was no way he could hear the chime from the bottom of his garden, so he opted for a wireless doorbell with 2 receivers and video integration. That way, he can hear the chime AND check to see if it is worth the journey to his front door! Smart technology is coming at us thick and fast at the moment. We are getting to the stage where we want to start integrating all technology into the IOT (Internet of Things). I use Samsung SmartThings, and although my wireless doorbell does not integrate with it, I will certainly be looking at those that do when it comes to changing or upgrading it. Now we have Alexa, Google Home, and Apple Home. Would you like a wireless doorbell that integrates with them? I use SmartThings as a home security system, which works very well. It can automate setting the alarm when it picks up that my phone is longer in range. It has a siren, motion detectors, door/window sensors and even a CCTV camera that automatically records 1 for one minute straight to the cloud! Some wireless doorbells are capable of doing this too. You may want to set up a wireless doorbell (with an integrated video camera) to auto record for 15 seconds when the wireless doorbell is pressed, then upload the footage to the cloud! If this is the setup you are after, please make sure you are alerting visitors to your CCTV setup! Some even have the ability to communicate with visitors on your mobile phone/tablet or PC. So even when you are out of the house, you can tell delivery drivers where to leave your parcel. This is always the big one for me! How easy is the wireless doorbell to install? I’ll admit it, I have some great ideas about home improvements but then I think of the size of the task….and all of a sudden, it gets crossed off my list! Fitting a wireless doorbell should not be a complicated task, and the vast majority are extremely easy to install…thankfully! Once you have decided where the pushbutton is going to go, all you need to to is fit it. This is usually accomplished with a set of screws and a bracket. Some wireless doorbells come with adhesive strips, which are even easier. Then, when you have finished fitting the push button, you need to find an empty power socket for the receiver to go. Make sure the power socket is not one you plan to use for anything else. When I fitted my first wireless doorbell, I would regularly come home to find that it had been replaced with a hoover or a set of pretty lights. Also, with a 3-year-old running amok in the house, it was regularly switched off for reasons only known to him! I soon realized I needed to find a power socket that was both easy to access and out of reach to small hands. You also need to take into consideration how loud the chime is. If it is too out of the way, you may struggle to hear it. Ultimately, I do not know the layout of your house, so you will need to make the decision on where to put the receiver to work for you. Consider the above. You probably do not want your wireless doorbell to stick out too much to visitors. It needs to be apparent, but not out of place. Take a look at your door and its surroundings. Is it an old house? Will a brand new white plastic wireless doorbell look out of place? Is it a beautiful, full wooden door? Do you want a bit of white plastic stuck on the front, removing all character? There are many wireless doorbells to choose from. Only you will be able to narrow down the list, to only the ones that fit in with your door/porch. So now you know what to look for when buying a wireless doorbell, you are armed with all the information you need to make the right decision based on your circumstances. If you would like some ideas on which wireless doorbell to go for, take a look at our recommended gear page! You can even go to our list to find the best wireless doorbell!